The sun is shining, but it’s still winter here in SLO county. Celebrate the season with these seasonal soups and meaty roasts. Here are this week’s recipe suggestions. Your orders can be customized and are personally packed then delivered to your door. Each meal has four servings plus snacks. This makes four generous servings of each of the following meals plus snacks. Get all this plus the step-by-step recipes and free delivery for $145. Seasoned omelette with fresh goat cheese and veggies served with winter greens sautéd with bacon. Make ahead and warm up in the morning or whip up quickly from scratch. This meal has everything you need to start the day off right. Want more? We recommend adding Dark Nectar Espresso and steamed milk from Cal Poly creamery. You’ll have the option to add it at checkout. Grilled chicken salad with nuts, fruit and bacon tossed in pomegranate vinaigrette served with goat cheese and seed crackers. I like to make all four portions of these salads ahead of time and put together everything but the dressing and the chicken. I then put it all together in a big bowl when I get to the office and gobble it up. So good! Lots of ways to customize this lunch option, but whatever you choose you can’t go wrong. Make sure you have a healthy salad oil at home. You’ll have the option to add on pantry essentials prior to checkout. 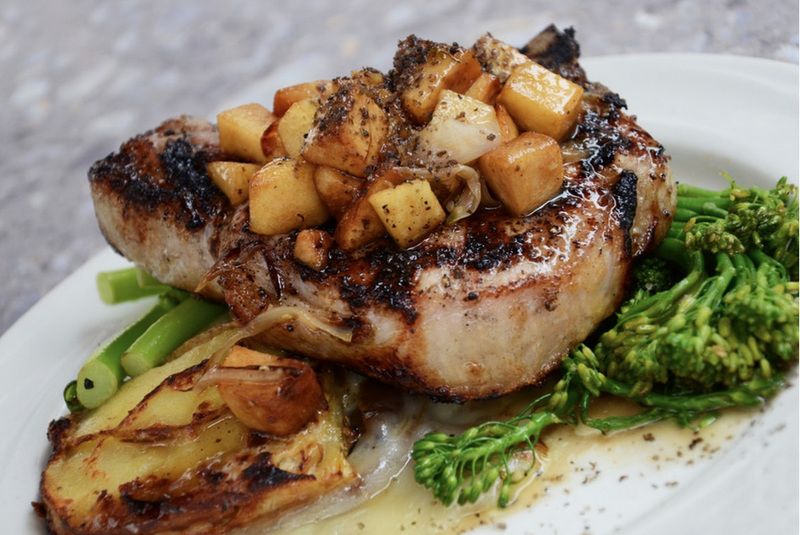 Save time by making these four pork chops in about 45 minutes and portion out for meals throughout the week. Enjoy with smashed sweet potatoes. This meal is packed with protein, fiber and flavor! Make it a date night by adding a recommended wine pairings to complement your meal. This makes four heaping servings of each of the following meals plus snacks. Get all this plus the step-by-step recipes and free delivery for $75. This North-African-inspired breakfast food is a bright, healthy start to the day. Easy to make in the morning or you can easily make ahead of time for grab and go. Shakshuka is great for any meal; brunch, lunch, dinner or a late-night snack. If you need a little something sweet in the morning? Prepare a salad of seasonal fruit ahead of time and enjoy throughout the week. Rich, warm, creamy and full of vitamins and minerals. You’re gonna love this homemade soup. Add even more delicious vegetables and protein to your lunch with a healthy side salad. Need something to dip in your soup? Add a fresh local baguette to your order at checkout. This makes four perfect servings of each of the following meals plus snacks. Get all this plus the step-by-step recipes and free delivery for $145. Morning Almond Muffins with carrots, nuts and fruit. Served with a protein-packed sides. We get it, you aren’t always egg-static about egg-centric breakfasts. That’s why we’ve include an egg-free (ok, there’s a couple eggs in here) morning option that’s still gluten free and dairy free because it’s made with local almond flour and local grass-fed ghee. Even better, it’s full of yummy nuts, carrots, raisins and apples and has only as much honey as you choose to add. 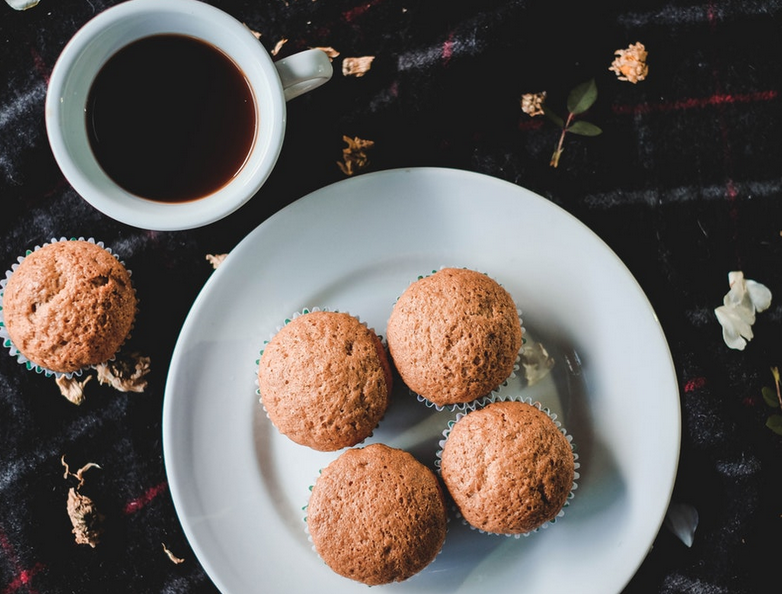 Studies show that muffins taste even better with a cup of coffee, so make sure to add a bag of locally-roasted beans at checkout. Still love eggs in the morning? That’s great! We include a dozen eggs, whip ‘em up for breakfast, add to salads or hard boil them for snacking. These yummy stuffed avocados are fun, flavorful, and easy to make. The avocado stuffing is seasonal. Add in your own toppings with what you have on hand. Enjoy with a side salad tossed in pomegranate vinaigrette. Research reveals that bacon makes chicken even tastier. So we’ve included humanely-harvested bacon. Cook it up all at once, then add it to your meals for added flavor. 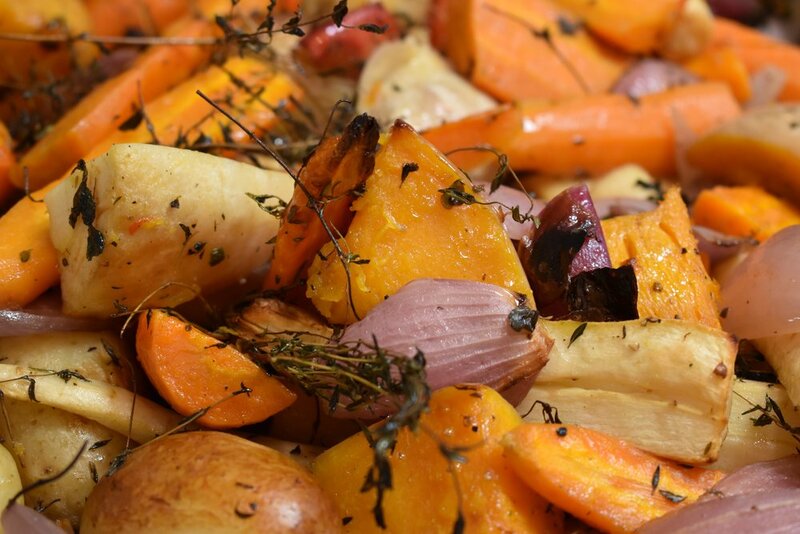 Warm up your home with a tasty roast chicken and vegetables. Enjoy the smell of chicken wafting through the kitchen all day long. Use every bit of your roast by using the bones and vegetable scraps to make a delicious broth for homemade soup or just something savory to sip to help warm you up on these cooler mornings. Local olive oil, grass-fed ghee, smoked paprika, local dairy. Get everything you need from our local pantry essentials.